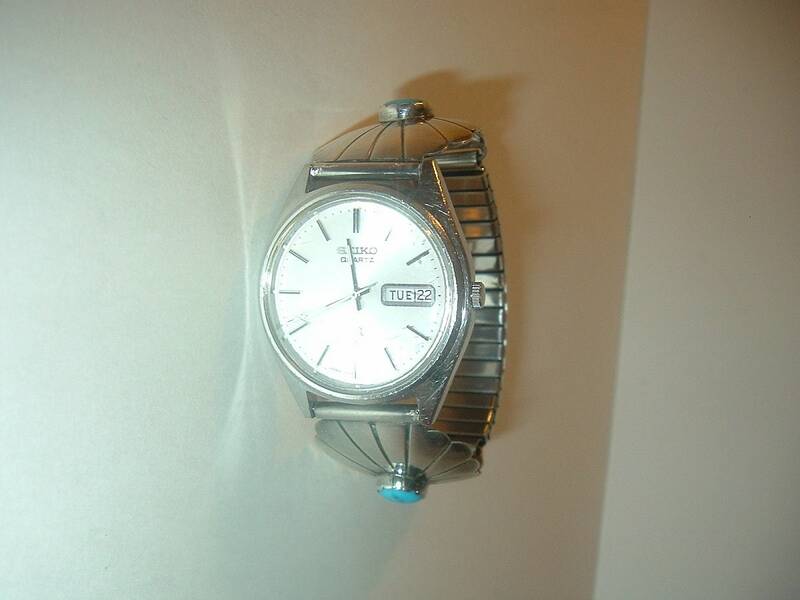 This vintage men's Seiko watch is done in a silvertone case. 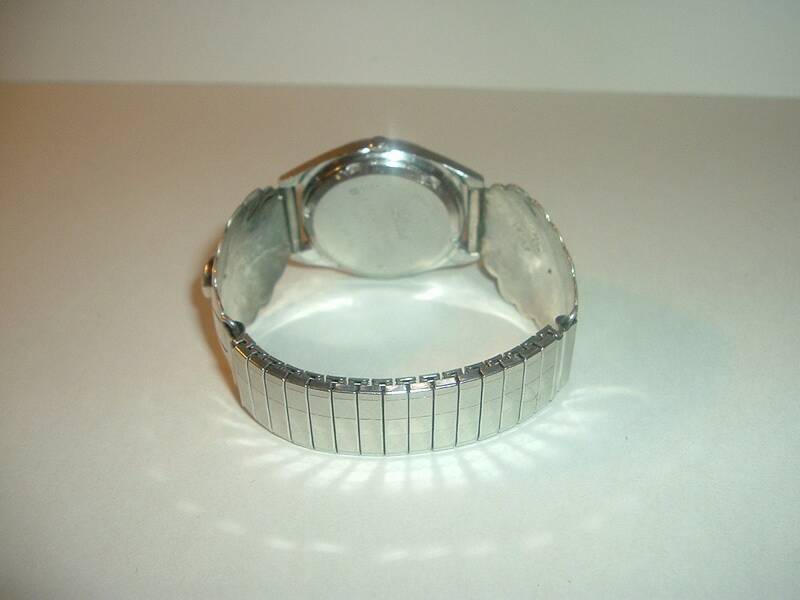 The band has a silvertone or steel stretch section on the backside. 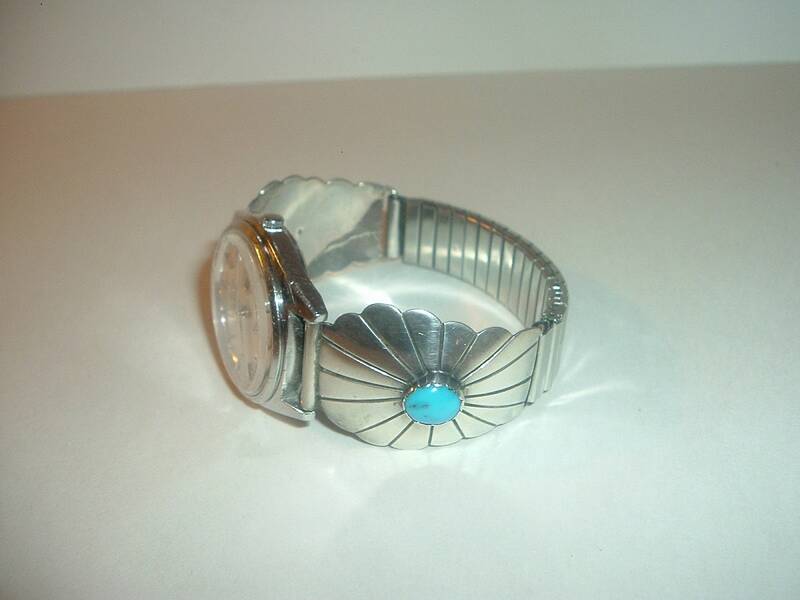 There are 2 panels, one on each side of the watch, that are signed with a light, hand etched "A.M. Ster S.", and they have a faux turquoise set in the center (I think they are faux, but I could be wrong). One of the "stones" has a small dark spot in it. 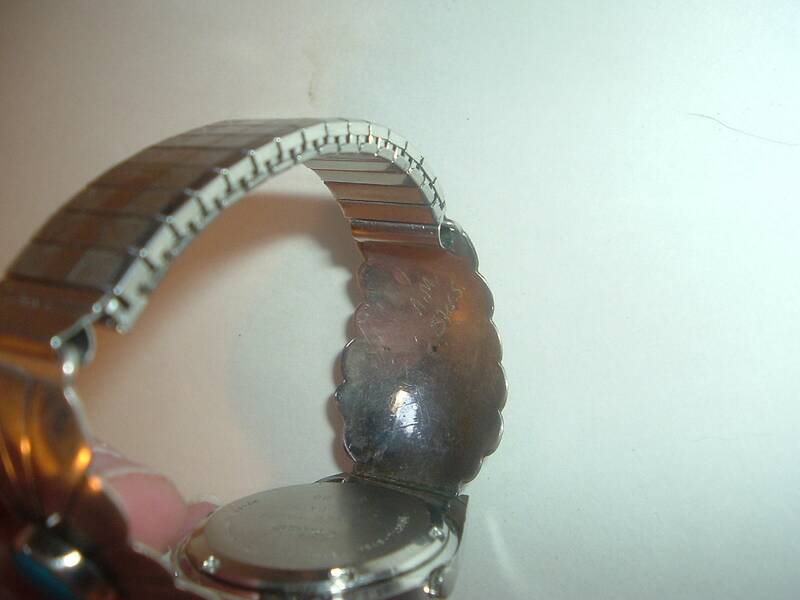 The watch is currently working -- so it is a working watch. I don't know how long the battery will last. I see Seiko Quartz on the face. I see Tue 22 (the day and date -- the day is correct, but the date is off by a day). The crystal has a couple of light marks, but is otherwise good. 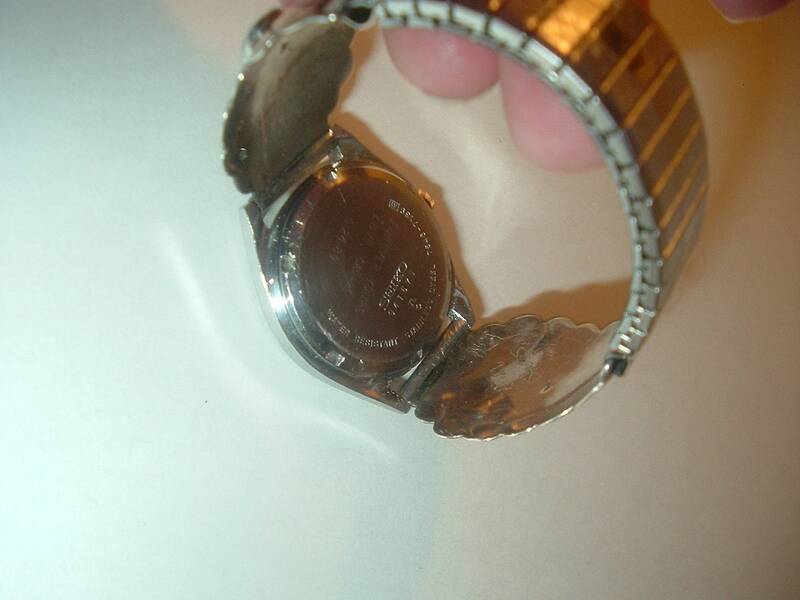 The case shows some wear and signs of use. I think my closeups do a good job of showing the condition. Please use the "Zoom" feature when viewing -- They're very closeup and large. 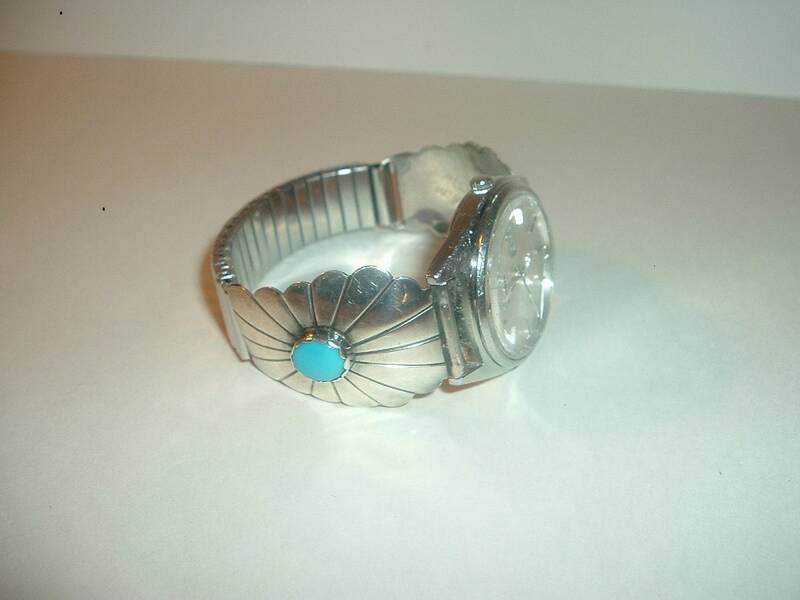 I see a very light engraving on the backside that says "Forever yours Love Kathy 5 24 80". I see some numbers on the backside too. Under "Seiko"I see 941579. On the edge of the backside I see 7546 7139. 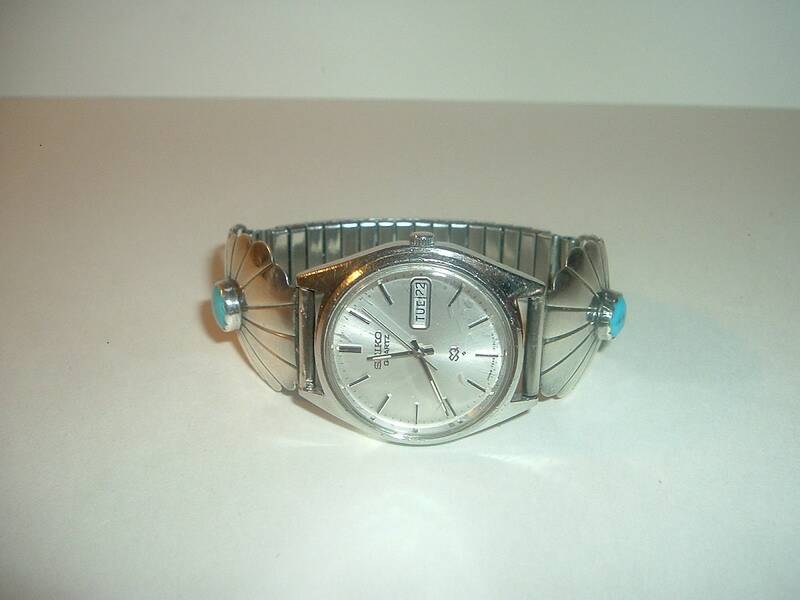 Used, but still a nice, vintage watch. Free US shipping. I gladly combine shipping!